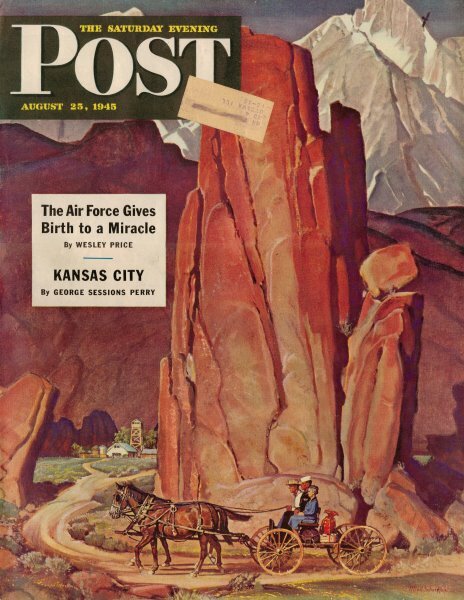 With a cover date of August 25, 1945, this edition of The Saturday Evening Post obviously went to print some time prior to the dropping of the two nuclear bombs on Japan that ended World War II. Victory in Japan Day (V-J Day), was August 14, 1945. There is no hint inside the magazine that the end of the war was nigh. There were, however, plenty of ads by companies touting their contributions to the war, and even some ads, particularly food ads, anticipating the end of rationing. Within this edition is also a short quiz entitled, "How's Your Radio Knowledge?" The author, Capt. 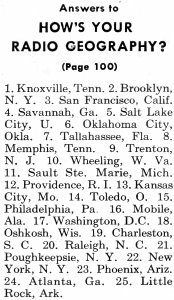 James F. C. Hyde, Jr., challenges readers to identify the locations of radio stations just by looking at their call signs. As is done today, most stations attempt to get call signs that are relevant to their location or mission. 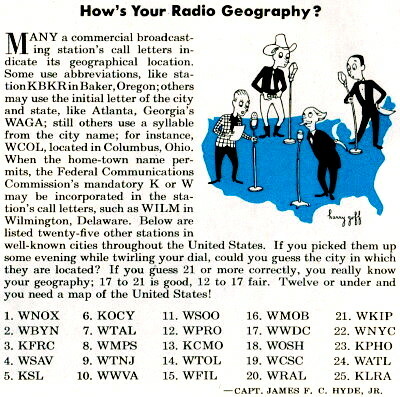 The example given here is WILM for a radio station in Willingham, Delaware. Most of them are probably still around today (try a Google search on some of them to find out). Answers are given at the bottom of the page.